Reese Takes Best of Breed & Group 3! 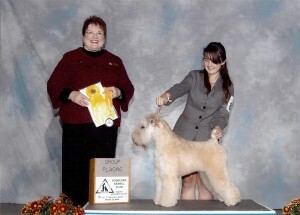 Reese at the Souhegan Kennel Club Shows on Sunday November 14, 2010. By Jeri | Comments Off on Reese Takes Best of Breed & Group 3!